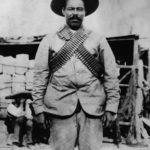 Pancho Villa was one of the revolutionary generals and leaders of peasant rebels during the Mexican revolution 1910-1917. 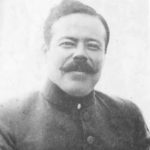 Jose Doroteo Arango Arambula (better known as Francisco Villa or Pancho Villa) was born on June 5, 1878 not far from the village of San Juan del Rio, Durango State. The boy early lost his father and was forced to work on the hacienda, but because of the intolerable conditions he tried to escape. 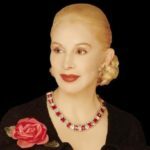 Pancho’s younger sister was raped by one of the owners of hacienda. 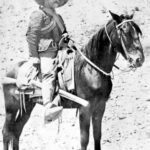 According to his own memoirs, Pancho killed him and was forced to flee to the mountains, where he spent his adolescence. 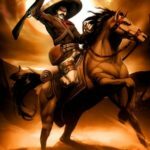 He became a bandit chief and horse trader. 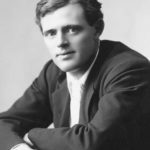 In 1909 Villa met Abraham Gonzalez, a local representative of the liberal presidential candidate Francisco Madero. Gonzalez became the political mentor and friend of Villa. During the uprising uneducated Villa, who only knew how to read and write, showed himself capable commander. He was able to create a division of well-trained soldiers. 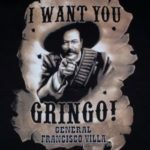 After the victory of the rebels Villa stayed in the guerrilla army. 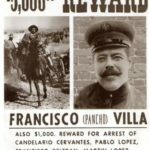 In 1912, during Pascual Orozco’s rebellion, General Victoriano Huerta had fabricated the accusation against Villa and sentenced him to death. 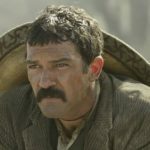 Madero saved Villa and sent him to prison. 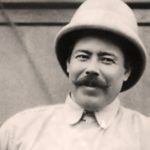 In November Pancho Villa fled to the United States. 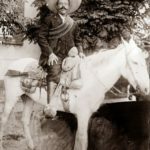 After Huerta arranged a military coup and the assassination of Madero, as well as his colleague Abraham Gonzalez, Villa, sailed over the top of the Rio Grande, and in April 1913 he returned to Mexico to fight the usurper. 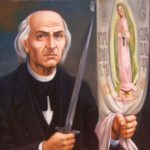 He put together a group of fighters called the Division of the North (Division del Norte) and fought against the dictatorial regime of General Huerta. Soon Villa established control over the whole territory of the State of Chihuahua, and in mid-November, took the border town of Ciudad Juarez and the state capital, the city of Chihuahua. 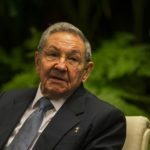 Local warlords elected him Governor of the State. 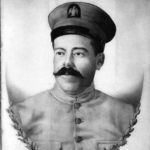 In 1914 Villa and Venustiano Carranza, another leader of the revolution, defeated Huerta. 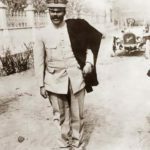 Carranza became the new leader of Mexico. Carranza and Villa soon turned against each other. 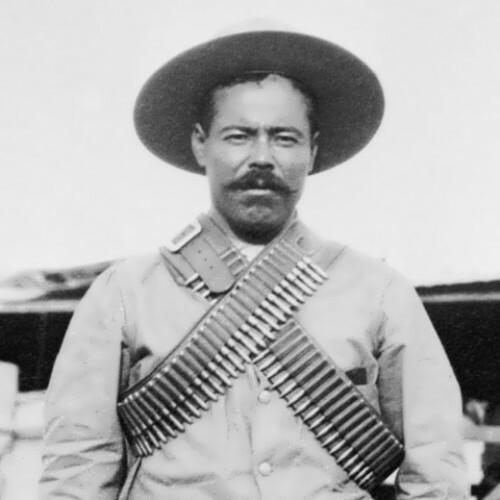 Villa lost his army in the Battle of Celaya (6-15 April, 1915) and Trinidad (29 April – 5 June, 1915) and once again became a guerrilla commander. In 1915 the United States gave its support to Carranza. 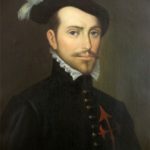 Villa then murdered U.S. citizens in both Mexico and the United States. Carranza was overthrown in 1920. Then Villa stopped fighting the government. 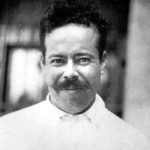 Villa spent the remaining years of his life working the hacienda and making improvements to it. 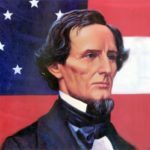 He added a school, put in a road to the nearby town, and paid for the education of some of the sons of his bodyguards and employees. 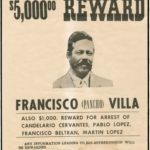 Francisco Villa was killed on July 23, 1923 in Parral (Chihuahua), Mexico. 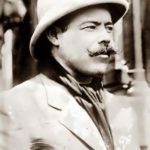 In 1976, Pancho Villa’s remains were reburied in Revolution Monument in Mexico City. His widow didn’t attend the ceremony. 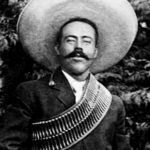 More than four decades later the Mexican Congress voted to inscribe his name in gold on the chamber walls with other heroes of the Mexican Revolution.